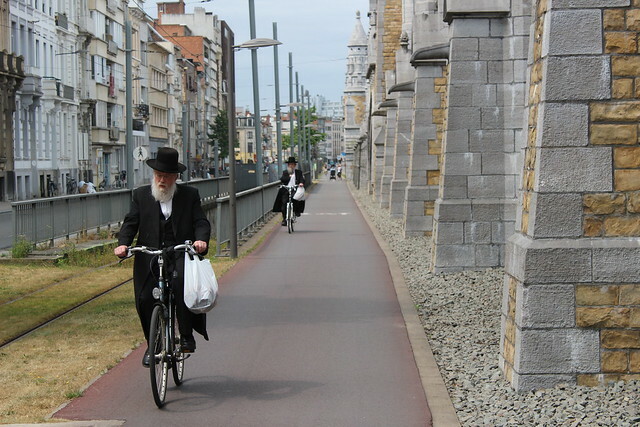 I'm in Antwerp, Belgium, which will host stage 3 of the 2015 Tour de France tomorrow. I'm here for the Tour (follow my Twitter feed for live updates tomorrow) but hadn't appreciated what a great cycling city Antwerp is. 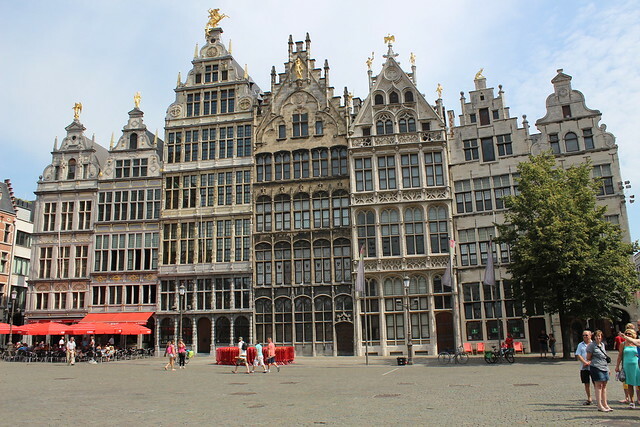 Home to about a million people its Belgium's most populous city, blessed with a compact historic core which is criss-crossed by a web of tram lines and very good cycling infrastructure. There's tonnes of Tour fans in town, and roadies were out in force riding the route ahead of tomorrow's stage, but I also saw lots of just about everybody else riding a bike as well. As you'd expect, cyclists share with other traffic on small and quiet roads here, but where volumes or speeds of cars are high the bikes are given their own space. And I was glad to see there was plenty of new cycling infrastructure in place and that it was well maintained; always a sure sign that a city cares for its cyclists. From the moment you step off the high speed train at Antwerp Centraal (and oh my goodness me, train fans, what a station it is) the fact that you're in a cycling city is apparent - deep in the bowels of the station there's acres of secure bicycle parking, a mechanic's workshop and a bike hire station. There's a suite of city bike share schemes - depending on how long you need a bike for - but if you're just visiting I recommend Fietshaven's Yellow Bike scheme, where you can rent a fantastic bike for a full 24 hours for just €13. It was great to see the beautiful merchant's houses in the bike and pedestrian-friendly city centre. Cyclists are exempt from having to follow most one-way streets here, and bike parking abounds. 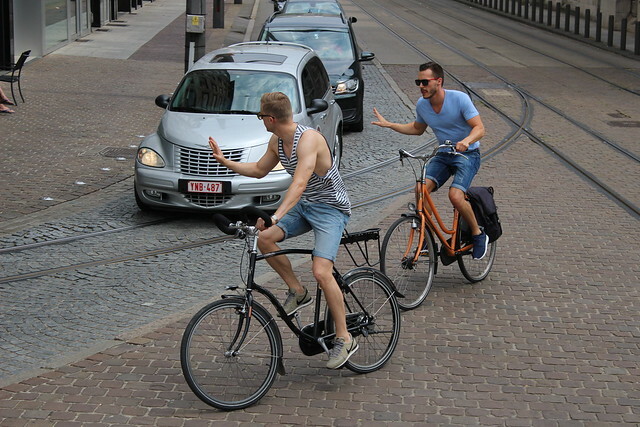 But it is not just in the old town that the city has been thinking about bikes. 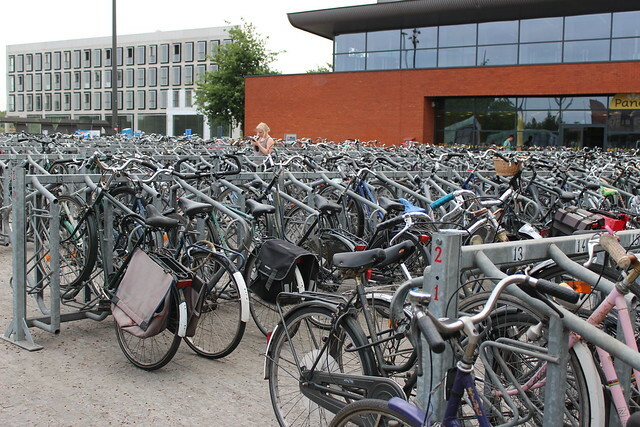 There were acres of heavily-used bike parking outside the nearly-new Berchem Station, and smooth, wide brand-new bike tracks to get you there. 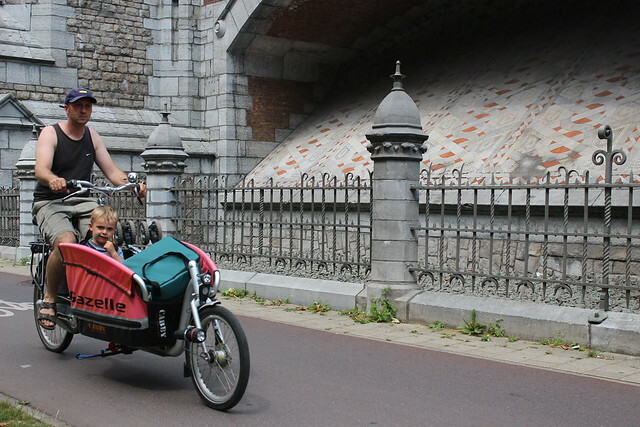 Beneath the river Scheldt, the 1933 Saint Anne's tunnel accommodates people on bike and foot, and allows you to take your bike down the original wooden escalators before a leisurely ride beneath the river with excellent acoustics! I found drivers to be courteous and interaction between riders and cars seemed friendly. What's more I saw cyclists of all ages out enjoying a summer's Sunday ride. 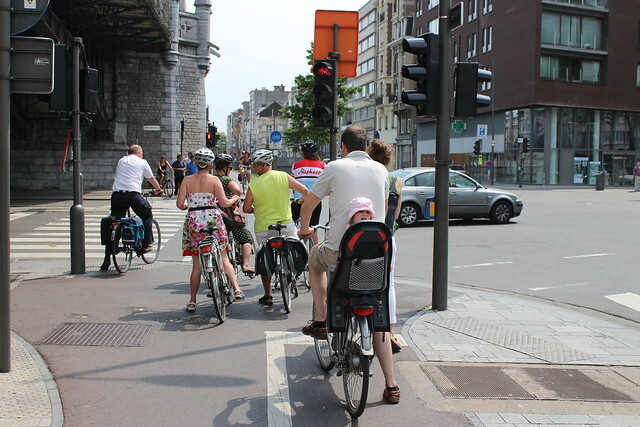 Indeed, the leisurely cycle track that follows the railway south out of the city is so popular it could well do with being made even wider - that's what we call in cycle planning circles "a nice problem to have". Antwerp had never been on my list of places to visit before. I knew it was here, of course, and that it was really just a short trip by train from London. I had a vague idea that it was famous for diamonds, and shipping, but that was about it. Well, more fool me. 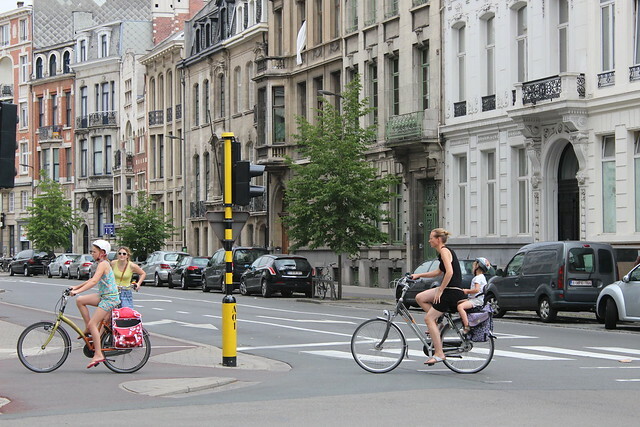 Antwerp punches above its weight; both as a cycling city and as a destination in its own right. I couldn't think of a nicer weekend away than riding around here by bike. 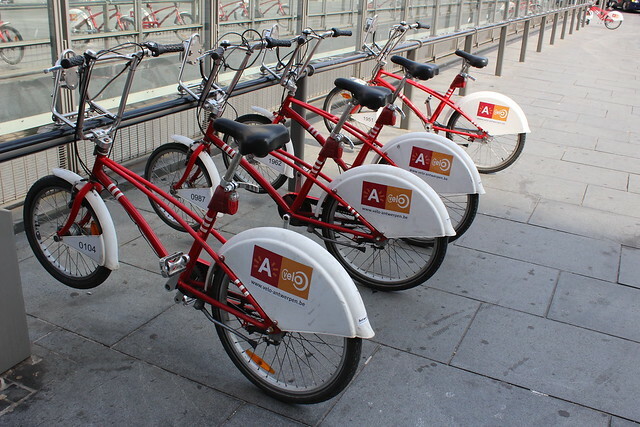 For more info on cycling in Antwerp go to Visit Antwerp. Check LeTour.com for a profile of tomorrow's stage departing from Antwerp. You can get to Antwerp via the Eurostar in about two hours, with tickets from £80. Grongingen, a compact city, with no room for cars AND cyclists, did not collapse when they went BIKE. In fact, they prospered. They became stronger! Stronger! by going 'non-car'. It WORKS. google for David Hembrow Cycling. He can explain in native english. I'm dutch, i'm rude,.Rude dutch, nothing changed. Thank you Hugo for taking the time to comment. 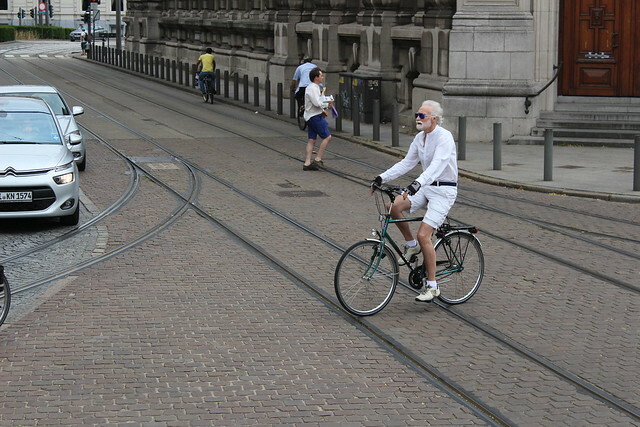 I've been to Groningen and was amazed at the level of cycling there. 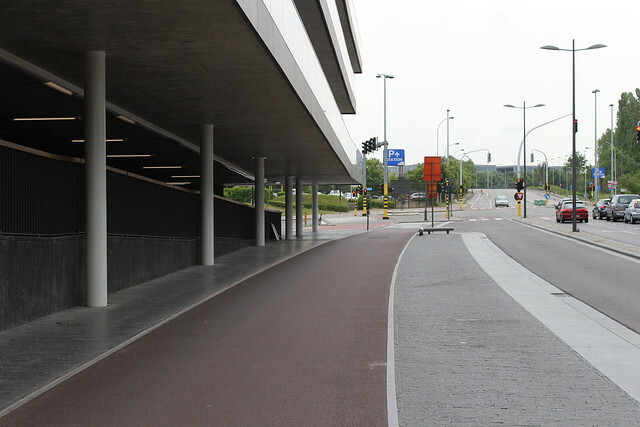 Indeed, even away from the town centre and out in the suburbs it is evident that the city has invested in high quality cycling infrastructure which is very successful. I liked the city a lot. I think your argument is exactly right; at the end of the day it is not just about cycling being a good thing or a positive, nice thing, but is actually about the fact that more people moving by bike is an economically efficient and successful move for a city. You can't lose!